Apologies for this week's edition of Five For Pondering also being delayed; I was working on it earlier and then the CIS site crashed (see screenshots below: click to enlarge if you want to see the gory details). The entire site still seems to be offline, so it looks like I won't be able to finish this until tomorrow, but I'll get it up as soon as I can. 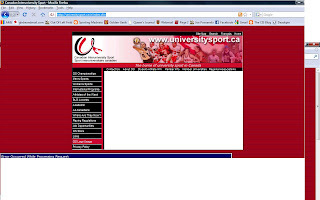 Unfortunately, these technical difficulties are all too common in the university sports world: I've also run into plenty of problems with the OUA site in the past and our entire student government website/e-mail/servers have been down for a week or so, making my Journal job much harder (Hotmail seems to have crashed this evening as well, which just adds to the fun). 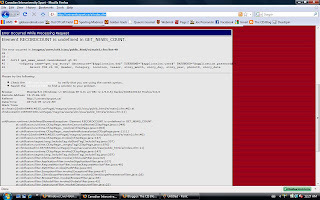 Hopefully the CIS site will be fixed more quickly than the Queen's servers have been.